Hope everybody reading this had a great Thanksgiving! Design Expertise: We're looking for great designers and we want to see your terrific portfolio. Personality That Pops: We want to see someone who shines, so show us who you really are and don't be shy! Tell us why you deserve your own series on HGTV. Passion for Your Work: We're searching for designers who will bring the world of design and decorating to life in their very own passionate and unique way. 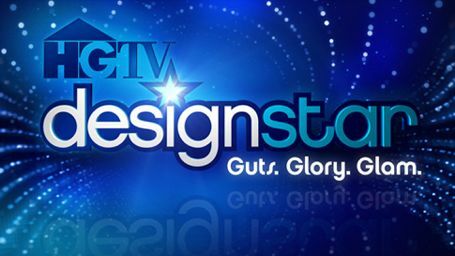 HGTV Design Star is an on-air competition to name the network's next star. Finalists will compete in design-based challenges with one to two designers being eliminated each week. The contestants will be narrowed until the winner is announced in the final episode of the series. At any rate, I'm here now. And I'm so proud of my co-worker Kim Hamric, who's spending her spare time (when she's not at the gym or playing in the Memphis Kickball League) slaving over canvases in her kitchen. Her abstract works are experiments in color and texture, and she's producing them at an impressive rate. I love the palette she's working with: bright lime greens, robin's egg blues and orangey-reds. It's hard to convey the texture and dimension of the paintings in a photo, but I asked her to send me a pic so I could share. This is a series she did on three 8" X 10" box canvases. Anybody? Anybody? Let me know what you think. Man, it has been too long since I've done a blog post. I need a feature like the "nudge" button on twitter to light a fire under my behind to get me to blog, apparently. 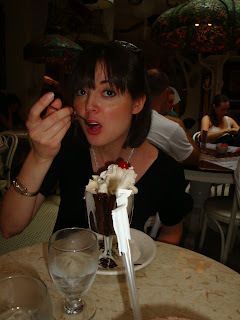 Truth is, I've just been really, really busy in all facets of my life - work, freelance writing, home, church, travel (the pic at left offers an example of what I've been up to - it's at Serendipity 3 in NYC). So I haven't had time for anything extra. However, this morning has been inspiring. One of my co-workers brought in a pamphlet for the 2009 ASID Design Conference in Nashville, and the CEU session topics spawned interesting discussions about how to better market our business in this economic climate. Taking advantage of the Internet is a crucial in today's world - hence the importance of blogging. I will definitely do better with maintaining this site on a weekly, if not daily, basis. I also started a twitter account for my firm - follow us at http://twitter.com/vrippee, username vrippee! I'll be taking similar advantage of facebook soon. I use these sites personally - our firm should be using them, as well. It makes good business sense to take advantage of these great (and free!) resources to get our brand out there in these days of strained pocketbooks and intense online competition. I would say my favorite TV designer is Candice Olson. Of all the designers and decorators featured on the myriad of shows and networks devoted to home and lifestyle these days, she, to me, is the most professional, the most talented of them all. As a host, she's very approachable, and as a designer, she's very transparent with her process. She has a defined style that's polished and classic. Also, her work seems very real. She uses high-end furniture, fabrics and finishes, and she doesn't apologize for it. No bogus $500 design-in-a-day concept for her show. You see her team of skilled technicians completing all elements of the project, from lighting to upholstery to painting to construction. That's basically how it works in real life, only most of us don't have a dedicated team all to ourselves - we maintain a list of trustworthy contractors to refer clients to. 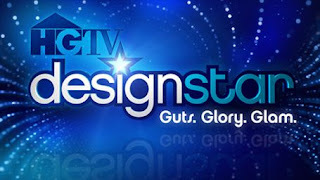 Still, on her show, Divine Design, you basically see real-life design played out over the course of a 30-minute program. And her drawings and renderings are seriously, and please pardon me for saying this, divine. One of the most fun experiences my co-workers and I had recently at AmericasMart, the Atlanta market, was finding Stray Dog Designs. We were wandering one of the many floors of furniture showrooms and were drawn like a magnet to the bright, funky colors and whimsical designs we saw through Stray Dog's windows. Once inside, while perusing the East Tennessee-based company's line of colorful case goods, funky light fixtures, and whimsical accessories crafted ingeniously from papier mache, we noticed something unusual about the staff running the showroom. They were all wearing funny hats. Then we realized something else: They had enough funny hats to go around. Someone working in the showroom had been designated "market hatmaker," and in the middle of the room was a huge bin of crazy, kooky hats of various styles made out of paper sacks and decorated with colored netting, silk flowers, feathers - you name it. There was a mirror there so us buyers could try the hats on for size, and once we found hats we liked, there were staffers armed with paper clips to "size" the hats for a custom fit. My co-worker Kim Hamric went for the crown - if you know her, it fits. Jane Sacharczyk found a cute little hat with flowers on the front that people kept referring to as "jaunty," and my favorite comment about the hat I chose was that it was "soooo Jackie O." 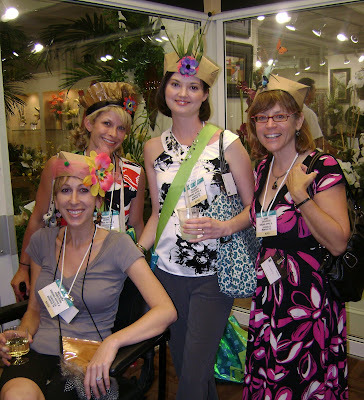 :-) It turns out the hatmaking sales reps for Stray Dog Designs were nothing if not ingenious. We wore our hats for the rest of the day, and apart from the gaping stares that none of us minded, we must have had 500 people ask us where we got our hats. It was such brilliant advertising! Sounds cheesy, maybe, but in the little bubble world that is market, it was totally effective. It has been a crazy, busy couple of weeks. Over the weekend, I went with a small crew of co-workers to Atlanta for the AmericasMart home, rug and gift market that's going on right now. More than 7 million square feet of showroom space, and man, did we have a blast! We found some new sources and spent time touring some of the sources we already use to see new products and to generally touch, sit on, handle and otherwise ogle the products we specify for clients. There is nothing like a high-rise building filled with showroom after showroom of gorgeous, high-style furniture and accessories! 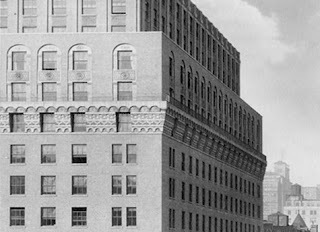 While there, we stayed at the W Midtown hotel, and all I can say is W-O-W! So chic that I recommend that if you're going to check into one, dress up before you arrive. The lobby is like stepping into a party with an exclusive guest list - music pumping, lights flashing, guests stepping out of niiice cars and drinks flowing at the bar. The rooms are as chic as the lobby, and the whole place has this high-tech, very NOW kind of feel. It was phenomenal. Good times! 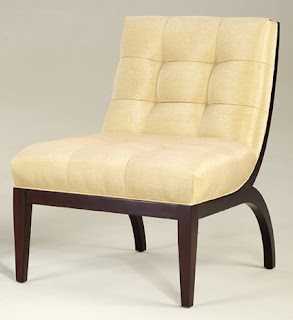 Here's a little chair I've been in love with since I first laid eyes on it at High Point Market last fall. It's sleek and gorgeous in black, as shown here, but it was even more spectacular in silver leaf, a new finish the manufacturer, DesignMaster, debuted at Market. I'm eyeing it now for a client. It screams her style - classic and elegant, but with a stylish twist. I'd put it in a seating area I'm working to create in a nook just across from her entryway - a real focal point, the first thing you see when you step through the front door. The home has two other dining areas, but this grouping would have a different purpose - games. My client is part of a bunko group, so additional tables and chairs are part of her regular entertaining needs. 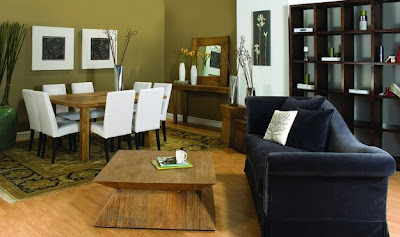 It would also make a great spot for family game night, puzzles and homework when kids enter the picture. 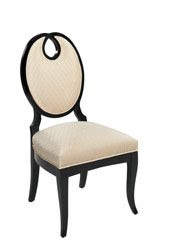 At any rate, a round table with four of these eye-catching, simple but elegant chairs would be fantastic in this spot. All the chair needs is to be upholstered in a gorgeous-but-sturdy fabric. Something contemporary but classic. Like my client. Last but definitely not least, the seating area will be backed up by an oversized, contemporary, colorful piece of art. The client is an art lover, so when this area is finished, it will definitely scream "her." I've been thinking a lot about the changing nature of the interior design profession. So many forces have been acting upon the field of design in recent years that are completely changing the way designers do business. I've read, for example, that interior design is increasingly moving away from a product- and sales-based business model to more of a service-based business model. When someone hires a designer, she's hiring an expert, and what she's paying for is that expertise. Traditionally, that expertise also comes with follow-through, meaning the designer not only tells the client how to accomplish her design goals, but also carries them out. This involves the sale of goods along with services. I don't think that will ever completely change - I hope not - but the myriad of well-designed, reasonably priced objects out there available for public purchase (meaning not just "to the trade") means that designers have to become more flexible about the types of products we source, the places we get them and the price tags that accompany them. Until the Internet became the axis our lives revolve around, it was pretty difficult for the average homeowner to find and buy high-style furnishings and fabrics outside the realm of what was offered at local retailers - without a designer, at least. But whoa, is it a different world now. Through online shopping, consumers can find everything from European wallcoverings to Turkish rugs to Italian leather sofas at retailers from across the country and around the world who are willing to ship to any destination. Not to mention the fact that comparison pricing has never been easier. So how do designers compete in a marketplace like that? It's a difficult question to answer. There are still plenty of sources that sell furnishings and home products through the trade only, and there are plenty of homeowners who appreciate and expect the level of service and innovation in design these sources offer. But to be able to offer clients a great service at a reasonable value, designers must also be able to compete within the greater marketplace when it comes to offering a mix of higher- and lower-end products. Figuring out the best ways to approach that situation is a major concern for me now as I'm establishing my own career in design. The article I've been working on and babbling about on the wonderful new world of wallpaper ran today in The Commercial Appeal. Check it out at http://www.commercialappeal.com/news/2009/jun/19/hang-it-up-t/. Paper just one wall for an artistic accent. When used sparingly and in just the right spot, wallpaper can serve as a great focal point or even substitute for artwork in a space. Go all-out in a powder room. Often windowless and devoid of architectural interest, small powder rooms are a perfect place to experiment with bold patterns and fun colors that would overpower a larger room. Prep properly. Many people fear wallpaper because they think it's difficult to take down, and when it's improperly installed, it is. But when walls are prepared and primed correctly, almost any wallpaper will come down easily, the pros claim. Use wallcoverings in unexpected ways. Try papering a ceiling to add another dimension to a room. Place a graphic-patterned paper in a large frame for instant artwork. 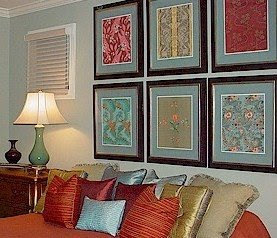 Or consider using paper on the door panels of a small cabinet or on the back wall of bookshelves for a punch of color. Have fun with it. Today's papers feature a wide assortment of unusual add-ons that bring new layers of texture into a space. 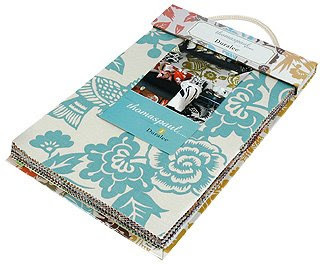 Look for flocked or metallic papers, or papers adorned with glass beads, sand, mirrors and more. Photo above, by the way, is from Thibaut, Inc.
For some reason, I'm amassing a collection of photos of clusters of framed artwork. I don't know how it happened - I have an inspiration board hanging just over my left shoulder in my office, and lately, any time I run across a cool little vignette of framed art and/or photos, I print or cut it out and clip it on my board. (The one pictured here I found on Kelly Rae Roberts' blog - it's in her own house.) So I now have this sort of quirky little collection. I guess I have, now that I'm thinking about it, been envisioning a little cluster of frames on a wall in the bedroom I'm designing in my head. 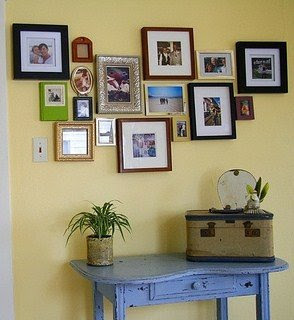 I want an off-the-wall (ha-ha, no pun intended) way to display family photos aside from the standard group-of-frames-on-the-dresser. And I do love to pull little inspirational bits and pieces of designs that speak to me and stick them in the "ideas" binder that sits on my desk - or pin them up on my board. And I also like the bohemian, artsy vibe of these disjointed little groupings on a wall. So I guess the random collection I've been unthinkingly creating has a purpose after all. Hey, whatever inspires us, right? Today, I'm in the midst of drawing floor plans for two different projects: the first a 110-year-old home - it actually has a name and a historical marker in the front yard - and the second an 8-year-old home that's undergoing a complete redo before a family of five moves in. I'm extremely excited about both. The first project is being undertaken by one of my best and oldest friends, and the challenge with this house is updating it in a way that says 2009 without compromising the incredible historic character of the house. Her style is transitional, meaning a blend of traditional and contemporary elements - in this case, a blend of antiques and casual contemporary pieces mixed in with modern art and quirky, unique accessories. I'm working on a space plan for the large living room, which has loads of architectural detail. Most striking is a half moon-shaped window set into a corner of the room. Beautiful! For the second project, I'm working on a space plan for the breakfast and family rooms while the adjoining kitchen undergoes a complete transformation. I've been helping the client narrow down her choices for flooring and finishes. I think she's going to go with a creamy paint finish on the cabinetry, and I'm trying to talk her into taking the cabinetry all the way to the ceiling, adding glass doors to the upper cabinets and painting the interior a contrasting color to highlight the objects inside. 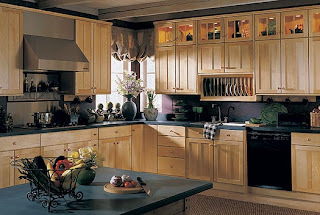 (Sample photo above shows cabinetry by KraftMaid.) Soon, we'll begin talking furniture, art and accessories. At any rate, time to stop blogging and start drawing! So here's a little something I recently fell in love with. My favorite furniture rep came into our office last week to show us the latest pieces from his family's North Carolina-based company, Woodbridge. (One reason he's my favorite is that he always brings us lunch - food wins me over every time! ....I'd say ha-ha, but I'm not kidding.) Anyway, this little chair is exactly what I've been looking for to go under a desk-turned-nightstand in my own bedroom redo. I looooooove the color - it's new for the company; it's called lagoon blue. Mmmmm. 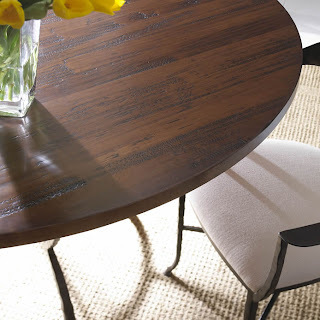 In my room, this chair will slide under a sleek, mod writing desk from West Elm, white and highly lacquered. The desk will be beside the bed, and behind it all will be the papered accent wall I've been babbling about on here for quite a while. I think the reason it has taken me so long to commit to my idea is that I hadn't found exactly the right pieces yet - because they hadn't made their way into my office yet. The chair came last week, just a couple of days after the *perfect* wallpaper made its way in - a new collection from Ronald Redding Designs called Medley. Not even on the Web site yet (but if you're interested, come on by my office). It's a modern paisley design, huge swirly amoebas in robin's egg blue (of course), citrus green and cream on a background of today's hottest neutral, pewter. It is soooooo me. OK, this is a topic I've wanted to write about since before this blog ever came to fruition. There are so many misconceptions out there about what it means to work with a designer, and I'm going to attempt - in a multipart series that I'll revisit time and again - to clear them up. So here is entry No. 1 of many. Misconception #1: A designer is not in my budget. Maybe so. But if you're planning to spend money on your space - in other words, plotting a renovation/redecorating/home improvement project of any type - consulting a professional designer could actually save you money rather than cost you more. How? For one, a designer can help you avoid expensive mistakes. I've seen so many people - including myself pre-design school - make purchases for their homes that didn't work out the way they envisioned them. They bought a sofa that was a few inches too long for the room, leaving no space for a side table. Or they bought that luscious purple velvet chaise they thought was sooooo cute in the store and found that it looked garish in their family room. Or they painted their bedroom wall what they thought was the perfect shade of gold, only to find that the cool light of the north-facing room turned it canary. You see my point? In all these scenarios, a designer's guidance could have saved the day - and saved the client money or time or both. But designers can help in more ways than preventing costly mistakes. One of the biggest benefits of consulting a designer - even if you simply pay for a few hours of advice - is that a designer will look at the big picture and help you design your space according to a plan. It's amazing how much buyer's remorse can be prevented when each purchase made for your home - even if there's a year between purchases - fills in one piece of the preconceived larger puzzle. There's no switching gears in the middle of the unfinished project. No buying furniture in the wrong color/size/style. Your best bet when starting a design project is to look at the space/room/house as a whole, plan it out according to your personal taste and style, and fill in the puzzle pieces one by one as time and money allows. What a designer brings to the table in this scenario is specialized knowledge about how the elements and principles of design work together to create a harmonious whole. A designer will help you find pieces that work with the scale of your space in styles/shapes/colors that work with each other. A designer will plan your space by creating a scale drawing and furniture plan that will ensure that the space will function - and this word is key - in a way that fits your lifestyle and makes your life easier rather than more stressful and frustrating. A designer will ensure that rooms and spaces in your home flow easily from one to the other by use of line, rhythm, color, texture, scale and so on. And last but not least, a designer opens you up to a whole new world of resources to help you make your space the best it can be. You know all those products in your favorite magazines followed by the words "to the trade?" Hello? Trade! Right here! Designers can help you get exactly what you want. And if it doesn't exist, we can design it and have it made for you. Yes, you get what you pay for, and yes, a lot of what designers do can get expensive. But, at my firm (Virginia Rippee & Associates) at least, we work with clients whose budgets fall into every range - and we treat them all the same, whether they hire us to do a top-to-bottom design of a 5,000-square-foot house or to space plan a one-bedroom condo. I'm currently in love with robin's egg blue. This little chest by Bungalow 5, one of my favorite sources for adding a touch of whimsy to a room, is just so super-cute! I want it for myself. The tassel pulls in a chrome finish are unique and add an adorable retro touch. One of my favorite things about this source is that many of its pieces are available in fun, funky colors - red, yellow, citrus green and of course, robin's egg blue - along with standard black and white. Another signature of its furniture is curvilinear, sculptural lines - which is what adds the touch of whimsy that I love. It would definitely take the right space to house a quirky little piece like this, and I want to design that space! 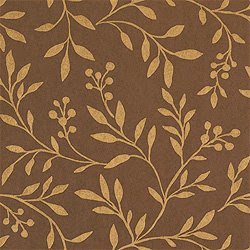 Still on the search for rugs to inspire the decor of the living room project I'm working on. This is not one I'm considering for this room, but it is one I found that I happen to like a lot. I'm a huge fan of overscaled, graphic patterns. I also love this blue-green combo. Cool color palettes have been speaking to me lately. Along with rugs, I'm looking for art. My firm has some great sources we frequent for nice artwork, but I also love to scout local galleries. Some of my favorite places to look for art in Memphis are Palladio, Market Central and Gallery 56, all part of the same group and near one another on Central Avenue in Midtown; and Jay Etkin Gallery. Others I haven't been to in a while but that I've loved in the past include DCI Gallery, Lulalyn Gallery and Linda Ross Gallery. Art is a funny thing to help someone purchase, because people have different ways of looking at it. For some, art is intensely personal and has to speak to them in some way. For others, it's just decoration, and as long as it fits with the color scheme and adds the right note to the decor, it's a go. I fall into the first camp. I buy art when I run across something I can't live without - I rarely have luck finding a piece for my own home when I'm actually looking for it. Then I'll make the pieces I collect fit with the design of my home in some way. I've also been known to design an entire room around one favorite piece. At any rate, it's not an area of design that I take lightly. Art isn't an afterthought for me - it's usually my inspiration. I'm waiting to be inspired, that's what I'm working on. Actually, I'm actively seeking inspiration. I'm working to find a good starting point for a living room project I've got going on, and I think it's going to come from the rug. The clients purchased two sofas and a chair-and-ottoman before calling me in, so I'm working around those pieces. I've already done some space planning, and I know what I need. 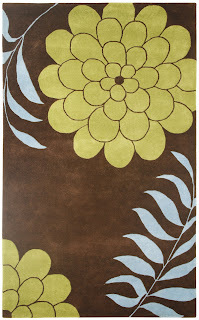 So I'm about to hit up a rug source I haven't used before, but love. I see this source (Madeline Weinrib Atalier) in magazines all the time, and I think nearly everything in the line is absolutely to die for. Hopefully my clients will feel the same way. At any rate, better run so I can get some good work time in before starting the holiday weekend. Woo-hoo! I'm seriously enamored with wallpaper right now. I wish every project I have going could include wallpaper in some form or fashion. An accent wall. Maybe a framed chunk of a pattern turned into wall art. There are so many great papers out there these days, modern and graphic, more art than merely decoration. I did just see one wallpaper project come to fruition - a chocolate brown paper with a large-scale, graphic leaf pattern printed in soft gold (shown at left). It's in the dining room of a 100-year-old house, a room big enough to stand up to the dark, warm color. It's gorgeous. Now we just need to furnish the room, a project I'm seriously looking forward to. I've been meaning for a while to blog about a professional association I've joined. 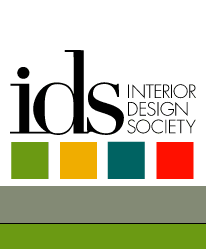 I learned about IDS, the Interior Design Society, at High Point Market in October, and I think it's a great group. IDS is targeted toward designers working in the residential side of the profession, which means it's aimed exactly at me. Other professional groups offer great benefits, as well, but no other group focuses solely on the needs and work of residential designers. There's not a local chapter of IDS, but that's about to change if my co-worker and fellow IDS Memphis Kim Hamric have anything to say about it. Kim and I have taken steps to get a Memphis IDS chapter in the works. There aren't many members of the national group here yet, just eight to 10, so recruiting will be one our early chapter-forming activities. I'm really excited about the opportunity, because I think there are a lot of designers working locally who aren't actively involved in a professional association because they don't feel any groups are looking out for their unique needs as residential designers. Originally formed as an offshoot of the National Home Furnishings Association, IDS has expanded its focus to cater to the needs of all residential design specialists, not just home furnishings dealers. I really hope Kim and I can build some excitement for this group. Eventually, we want to have monthly meetings with an educational focus. I'd love to network with more local members of the design trade, especially as my clientele and my writing portfolio grows. Today I'm into this store that's only on the West Coast that is available to the eastern half of the country through the design trade. We found Moe's Home Collection at High Point Market last year and loved it for its modern collection, fantastic red leather sofas and great prices. Among my favorite Moe's pieces, along with the red leather, is a tall, narrow antiqued cabinet with glass doors that's painted a vivid, gorgeous robin's egg blue. I can't wait to find the perfect house, the perfect client for this awesome piece of furniture. If it fit anywhere into my own home, I'd own it in a heartbeat. I don't have a photo of the cabinet, but I do have a photo that shows bits of Moe's collection. Love the shape of that slate blue sofa - and the shape of the wood coffee table in front of it. Both pieces fit perfectly with the casual contemporary look that's so hot right now. I've been thinking a lot about wallpaper lately, for a couple of reasons. One, I'm getting ready to buy some for my own home - for an accent wall in my master bedroom and master bath. It's a lovely spa blue printed with soft gold abstracted roses in a graphic pattern. I'd post it here, but there's not an accessible photo online and the book is at home, so I can't snap a photo. Soon! In the meantime, at left is a shot of paper from the same distributor, Memphis-based Seabrook Wallcoverings. Anyway, the wallpaper will make a strong statement in the room, something that's sorely needed in what's currently a very blah space. I can't wait to get started and begin posting photos of the project! The second reason wallpaper is on my mind is that I'm working on an article about its comeback. Yes, wallpaper is back in style! And it's not your grandma's wallpaper. 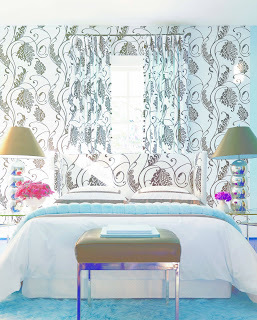 Today's papers feature large-scale, graphic prints in bold colors. They're meant to accent a space, really, not to overwhelm it - hence the accent walls I'm planning in my own bedroom. I'm really looking forward to dishing on all the details of this trend. I'll post the article here when it runs! Oh, too much on my plate right now. So I need to focus on one thing at a time, and at this moment, that one thing is a lamp. I need a tall lamp with a narrow base and a narrow drum shade, contemporary but warm, eyecatching and welcoming. It's a hard life, huh? Actually, it can be. Interior design is an incredibly fun job. It's also a hard job. Yes, it's true! For one thing, it's definitely a profession that has to choose you, not the other way around. It took me a long while to make the connection in my brain, but I think I was born to design and create. But the day-to-day act of being a designer is more than drawing, more than creating, definitely more than shopping. It's taking all the specialized knowledge I spent years acquiring and using it to make the individual spaces I'm working on as perfect as they can be. Balanced, harmonic, striking in places, calm in others, lovely and usable. To achieve all of this, there are often - I'll go so far as to say always - challenges along the way. The perfect piece, in the perfect price range, is rarely available at the perfect time. When it is, man, it's great. Sometimes great design really does just happen. But more often than not, it takes a lot of work to find that perfect lamp! And a whole lot of planning to get to the point of purchasing it. I'll elaborate on that later - the life-changing concept of designing and furnishing your home according to a plan rather than taking a gamble on every new thing you bring in. It's eye-opening! This morning I went to a client's house to deliver a beautiful console table by a great source in North Carolina that actually still makes its furniture in the United States, in its own facility. Everything is hand-forged, hand-planed, hand-finished. Beautiful, beautiful work that's just not remotely in the same league as the stuff you see at mass retailers. It's nice to splurge on a piece like this every now and then. It might not be apparent to anyone who walks in the door that it's handmade and expensive - after all, there's plenty of stuff out there that looks pretty good even though it's cheaply made - but that's not really the point, is it? I'm happy I found a piece for my client that will hold up and that has a gorgeous finish that goes deeper than the thin veneers we've grown so accustomed to seeing. The table shown here isn't the table we delivered this morning, but it's by the same company. I chose this photo because it hints at the depth, beauty and richness of the source's hand-finishing process - as much as can be shown in a photo, at least. It's even better in person. I love this bed from Mecox Gardens, a great designer source with stores in a few - a very few - locations. Unfortunately none around Memphis; however, I receive weekly update e-mails featuring all the stores' new items, and they ship to the trade. Some really great pieces, all unique. 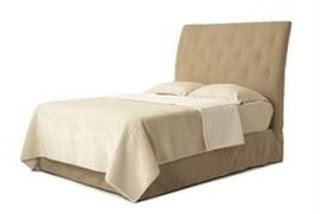 This bed is the type of thing I'm planning for my own new bedroom, but I'm going to have it custom made locally. Something that's not as out-of-reach as you might think, by the way. The world of resources out there is amazing. Since entering this field, my eyes have really been opened to the great big world of design. Options are unlimited. And yes, they're particularly unlimited when you have unlimited financial resources, but there's a lot you can do without breaking the bank. It's the details that count. 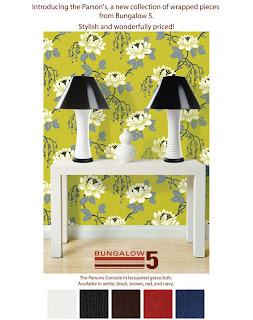 I just got an e-mail about a new collection from one of my favorite sources, Bungalow 5. Their Chloe side chair (see post A New Bedroom from March 17) is one of my all-around favorite pieces and I want one for myself. But their new Parsons collection is pretty great too. I mean, come on - lacquered grass cloth? How cool is that. Well, my firm has joined the ranks of the many, many businesses with giant signs screaming "50% to 75% off all inventory!" We do have a purpose for it, though, beyond the recession-related obvious. Once this inventory is gone, we're not planning to replace it. Instead, we're turning our underused (because we get very little walk-in traffic) retail showroom space into a larger workroom and sample room. We desperately need more work space - we designers are crawling all over each other, and there's nowhere to spread out our individual projects for any length of time. Plus, and even more interesting, we're going to attempt to create a resource room - a design center of sorts - for independent designers working in the Memphis area. We already have freelance designers who work through our shop, but we'd like to have more, and we'd like to give freelancers more resources to work from and more space to work in. It's pretty exciting, as far as changes go. At the very least, even if it takes some time to build our design center concept, we're changing our shopping habits to become more conservative with our inventory dollars. And in these days of belt-tightening and frugality, it seems like the smartest path to take. Well, it might be a few days before a new Flavor of the Day pops up. I'm off for a week of fun in Florida!!! Be back soon. OK, so here’s what I’m currently working with – and totally enamored by. I’m designing a great gray-and-yellow master bedroom for a friend and client, and the drapery fabric is coming from this fantastic collection by Thomas Paul for Duralee. Guess I’m just a Duralee lover this week, but this collection is fun, graphic, modern and I’m all-around in love with it. Photos of the room will be here eventually – I can’t wait to see it start coming together! Today we're shooting a commercial! Totally weird. I'm used to having my name in print, but not my face on screen! I think it will be fun though, and definitely great to help spread the word about our firm. The ads will run on local cable stations, including HGTV and E!, among others. OK, so here's what I've fallen in love with today. Our Duralee fabric rep came in and showed us what's new in the world of Duralee Fine Furniture. This chair is so clean-lined and unique, and the rep swears it's actually very comfortable. I'll be going to the New York Design Center in a few months and I'm going to try it out for myself. I'm just getting started with a new client, and right now I'm in the pondering stage - looking to get inspired. I can't wait to dig in and really start putting rooms together in this gorgeous suburban house. It's such a busy week and busy time. We're in the process of shooting a commercial to run locally on cable stations. How fun! That means script rewrites for me. I want every word to be perfect to get across our message - that we design for the client, with the client's style and lifestyle in mind. We want spaces we design to be functional - not just gorgeous. And we want people to realize that designers are approachable and that good design can be affordable, even with a professional's help. That's a lot to get across in a 30-second spot! Since my husband and I were married (almost 10 years ago - wow!) we've never had a "grown up" master bedroom. Never a true, from scratch, non-hand-me-down, designed space. I think it's about time. So right now, while I'm in a bit of a lull at work, I've been spending spare time perusing our stacks and stacks of fabrics and wallpapers to get inspiration for our dream room. 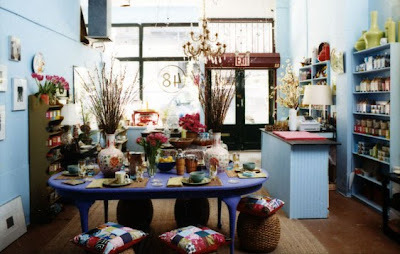 I've been mulling over two distinctly different design concepts: bold & zany vs. restful & pretty. Obviously, I'm not close to making any decisions since I can't even decide how I want the room to make me feel, though I'm leaning toward option No. 2. At first I had in mind putting a bold, geometric wallpaper on an accent wall, maybe with some metallic accents and maybe with a mirrored writing desk next to the bed as a writing table. I bought a painting back in the fall from Memphis' super cool Cooper-Young Festival, and I thought about using that as a springboard for my design, but I've since decided the only reason I wanted to do that is because I've yet to find a place in my house for this awesome painting. I think I'll actually be disappointed if I let something I didn't buy specifically for that space dictate the design direction, or even color direction, in the room. 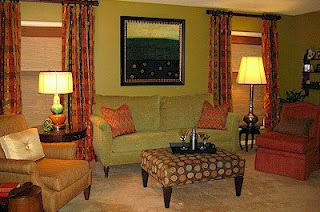 The painting is an abstract paisley design with bright greens, teals, blues and browns. So, no, I'm not letting that limit me. Here is what I do have to work around in the space: 1, a king-size bed. Rather, a mattress and box springs on a metal frame. I've yet to commit to an actual bed. 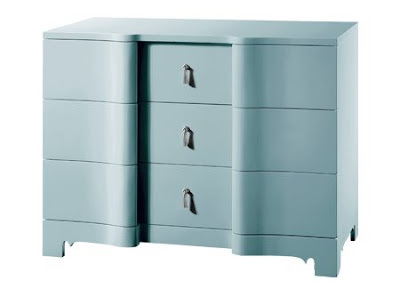 2, a dresser, chest of drawers and lingerie chest, all matchy-matchy. Yuck, I know. I bought them in a moment of furniture panic when our house had lingered on the market for a year and we decided one reason was our total lack of staging. And that's it. And within No. 2, a piece or 2 from the "suite" might be redistributed elsewhere in my house. So far, here's what I'm thinking when it comes to direction. Option 1, bold & zany, would entail a black-and-white graphic print wallpaper on one wall, with custom draperies in an equally bold print, as yet undetermined, on an adjacent wall. I definitely want a writing desk on one side of the bed as a bedside table, and I'm leaning toward the West Elm parsons desk (above) for either look. 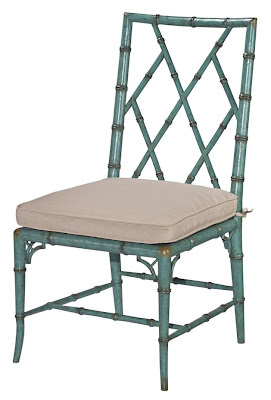 I think a Bungalow 5 Chloe side chair in a fun color would be a fantastic match for the desk. Option 2, restful & pretty, would consist of a gorgeous, luxurious wallpaper by Seabrook in a serene, restful spa blue overlaid with an abstract rose print that brings to mind Charles Rennie Mackintosh. 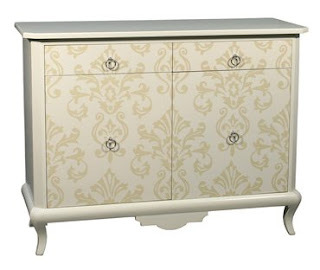 I'd pair it with an upholstered headboard, and my current favorite fabric is a cream linen with squiggly taupe lines. Draperies might consist of a printed linen with a leading edge in soft blue or green. So, it's time to run, and I'm just in the mull-it-all-over stage right now, anyway. I'll keep the updates coming as this design progresses! Hi to all my would-be followers! This is my very first post to my own blog, and it's a test more than anything else. Great things to come!